Srila Bhaktivinod Thakur, formerly known as Kedarnath Datta, was born in 1838 in Birnagar, West Bengal. Growing up, Kedarnath Datta preferred to sit and talk with the gate keepers and soldiers, and listen to them recite pastimes of Lord Krishna and Lord Rama than to play outside. Even from a young age, Thakur Bhaktivinod was attracted to the pastimes of the Lord. Any time he’d hear about a festival, or puja, Kedarnath would make an effort to try and attend. At the age of 10, two thoughts were in his mind: “what is this world?”, and “who are we?” Kedarnath’s inquisitive nature always left him unsatisfied. This mood was carried all though his life. As the years went by, Kedarnath Datta had various positions, and finally in 1866, became a District Magistrate high court judge. Thakura juggled his government responsibilities as a high court judge, maintained a Krishna conscious family and studied and wrote many books. 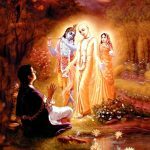 Even though it had only been a couple hundred years since Chaitanya Mahaprabhu disappeared, His teachings were practically lost. It took Thakura eight constant years of trying to finally get his hands on a copy of the Sri Chaitanya Charitamrta. Once he got his own copy of the Sri Chaitanya Charitamrta and the Srimad Bhagavatam, Bhaktivinod Thakur felt that his search for answers was done. He would constantly read the biography of Lord Chaitanya over and over again. 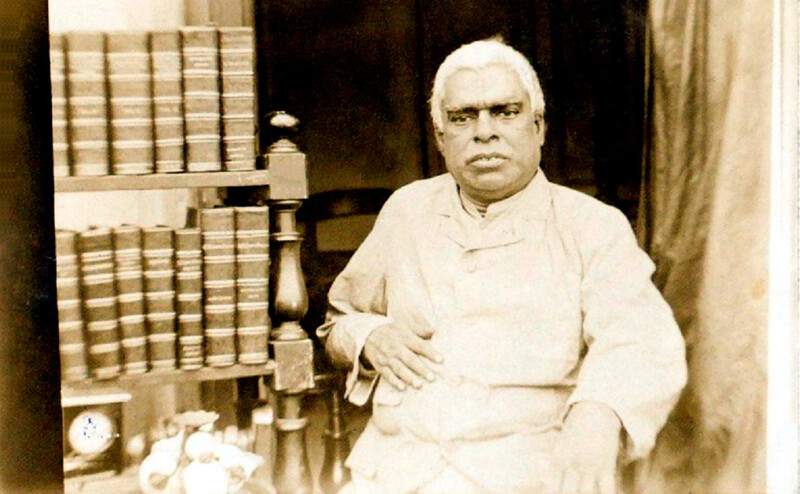 Between the years 1874 and 1893, Thakur Bhaktivinod followed a rigid schedule, allowing him to manage all his duties and responsibilities along with his studies and writing. Srila Bhaktivinod Thakur rested for three hours in total, in order to fit in his studies and japa, which took roughly four and a half hours, his writing which took up about eight and a half hours, and his services for the government which took around six hours of his time. He followed it very strictly. -Bankima Chandra who wrote a book stating that Krishna was an ordinary person. He had no tolerance for anyone or anything which did not align with the teachings of Sri Chaitanyadeva. During that time, Thakur Bhaktivinod had also taken Vaishnava initiation into the Vaishnava line coming from Sri Jahnava Devi – the wife of Lord Nityananda. 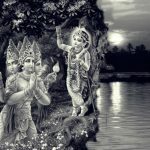 The Lord then disappeared and Thakur Bhaktivinod awoke, and thereafter was advised to apply for a government transfer to Krishnanagar, which is close to Navadvipa. The Thakur tried very hard to get a transfer to the holy dham of Lord Chaitanya. Finally, after much endeavor and requests to be relieved of his official duties, Bhaktivinod Thakur was finally able to arrange a mutual exchange with the Deputy Magistrate of Krishnanagar, Babu Radha Madhava Vasu, in the December of 1887 and thus, he finally went to Krishnanagar to execute the mission the Lord had given him. 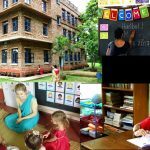 He inquired about the place, and learned that right next to that place was the ruins of an old fort and kingdom – large pond of King Ballal Sen, from which the town got its name of Ballaldighi. Aside from that, however, there was nothing of importance in that area. The following Saturday, Thakura went to Ballaldighi, where again at night, he had a wonderful vision. The next day, he wandered around the site, and the elderly locals told him that this was indeed the Janma-sthan of Sri Krishna Chaitanya Mahaprabhu. They pointed out the Tulasi plants growing in abundance, none of them ever being planted. 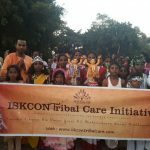 Thakur Bhaktivinod, to confirm it for sure, asked Srila Jagannatha Das Babaji, who was the head of the Gaudiya Vaishnava community to come to the site. Babaji Maharaja, being over one-hundred and twenty years old at that time was so weak, he had to be carried everywhere in a basket, and upon arriving at the place Bhaktivinod Thakur discovered to be the birth place of Lord Chaitanya, Babaji Maharaja literally jumped up into the air in ecstasy and cried “ei to ‘nimai-janma-bhumi!”, meaning ‘This is indeed the birth place of Lord Nimai!’ This was the ultimate confirmation, and proved beyond a shadow of a doubt that this was indeed the original birth place of Sri Krishna Chaitanya Mahaprabhu. Therefore, from both a factual and spiritual point of view, the place of Lord Chaitanya’s birth was thus confirmed. This monumental discovery took place toward the beginning of 1888, and was a landmark event in Gaudiya history. Thereafter, he began extensive research and re-discovered other pastime places of the Lord, and produced the book Sri Navadvipa Dhama Mahatmya which was published in 1890. In August of 1891, Thakura was granted a two year break from his government services. He got a place in Godruma dvipa, commonly known as Svarupaganj, and it was there in Surabhi Kunja that he started the Nama-hatta, or the market place of the Holy Name. Srila Bhaktivinod Thakur established over five-hundred Nama-hatta sangas. He wrote an essay entitled Sri Godruma Kalpatavi. Within this newsletter collection, he describes the structure of the Nama-hatta. He humbly addressed himself as the sweeper of the market place. This composition was made to guide those leaders and members in the preaching movement, who are trying to lead a balanced Krishna conscious life, while maintaining a family and career. The glories of this great personality are limitless, and his achievements are countless. Mere words cannot do justice to his glories. Although Bhaktivinod Thakur is especially recognised for re-discovering the birth place of Lord Chaitanya, he in fact re-discovered and re-established Lord Chaitanya’s movement, which was practically lost due to the cultural and religious fanaticism of the British rulers, and the concocted philosophies of deviant sects, who aimed to discredit and contradict the original teachings of the Supreme Lord. I offer my obeisances to you, O Bhaktivinod, the form of eternity, knowledge and bliss, the incarnation of Gaura’s potency and the best of the followers of Rupa Goswami. 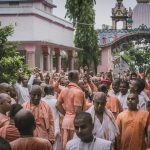 Sri Mayapur Dham ki jay! Srila Bhaktivinod Thakur ki jay! Srila Prabhupada ki jay!